What could be weird about a beach? A beach is simply a beach so what is the uproar about? But if you find a small pond of water some 100 meters away from the sea, with salty water and is fully tidal, what do you call this - certainly a weird beach. Mail Online reports that Gulpiyuri beach is an extraordinary stretch of shoreline near the town of Llanes in northern Spain, which boasts stunning crystal-clear salt waters that are even fully tidal. 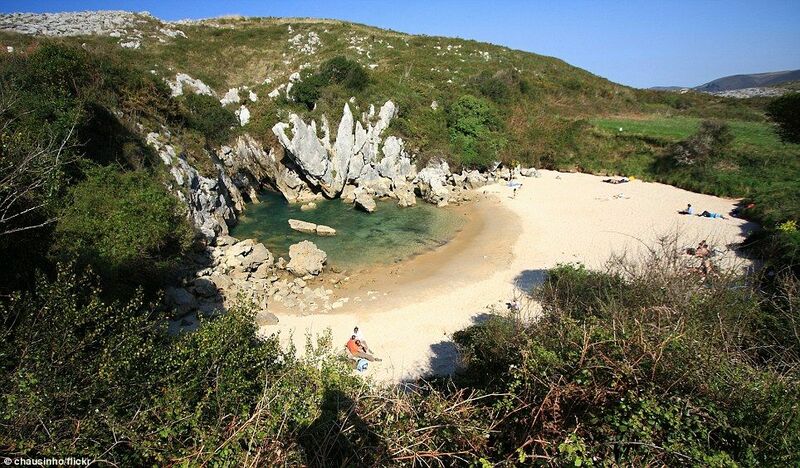 The beach is fed by salt water from the Bay of Biscay on the Cantabrian Sea. Over millions of years the waves eroded a series of tunnels under the cliffs which connect to the beach. Incredibly there are even waves lapping up against the 40m stretch of golden sand making the whole experience even more magical so it's almost impossible to resist taking a dip, although the temperatures can be rather cold. Next time you visit Spain, do have a dip at Gulpiyuri beach and tell friends that you have been to world's weirdest beach.